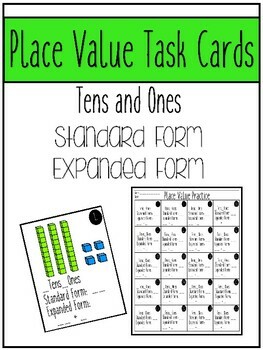 Resource includes 20 place value task cards and a recording sheet. 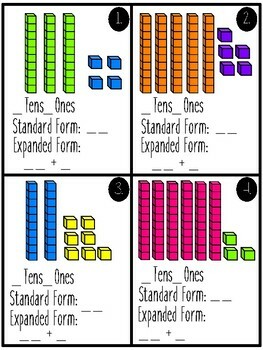 Great for centers or small group. 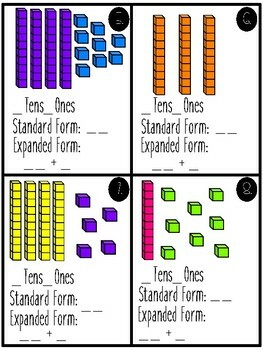 Numbers range from 16 - 90. 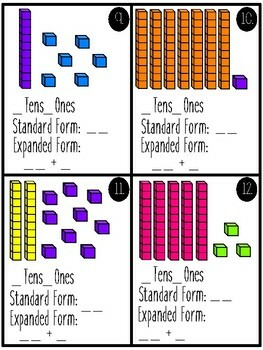 Great practice for standard form, expanded form and Tens and Ones recognition.